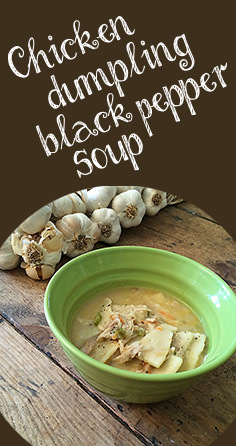 This savory soup has been known to chase away the blues, sniffly noses and mulligrubs! It takes less time to prepare than any other soup I make, has a fresh pick-me-up flavor (courtesy of the lemon juice), is healthy (no cream in this baby), and I believe could be made gluten-free just by substituting rice for the orzo. What are you waiting for? Quick, run to the kitchen and start cooking! 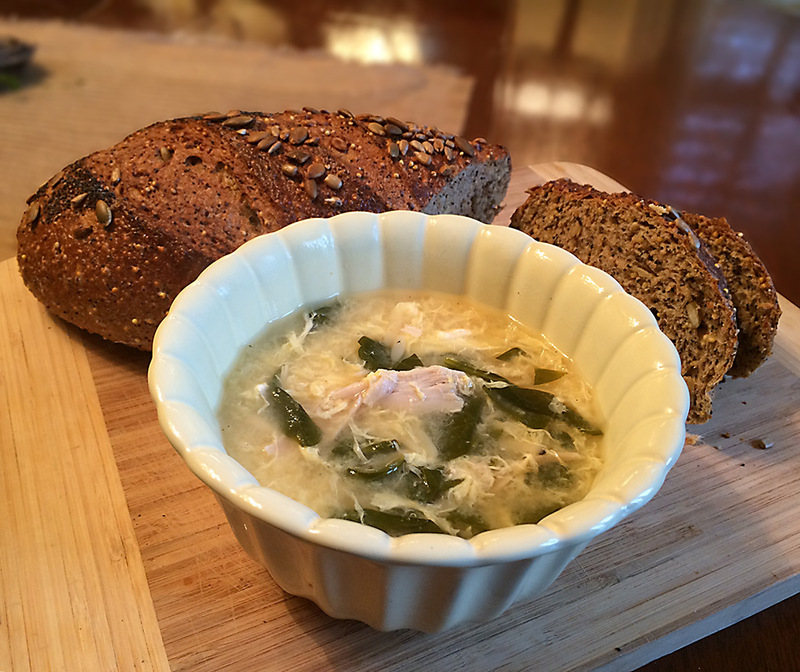 This soup was inspired by a recipe from the “New England Soup Factory Cookbook“, if you are going to have only one soup cookbook, it should be this one. Of course Poppy has to modify everything at least a little … so here is Poppy’s version! Bring the chicken broth to a boil in your stock pot on high heat. Add the orzo, reduce the heat to medium, keeping a slow boil and cook for 5-6 minutes. Once the orzo is done, drizzle in the beaten eggs, stirring constantly until the eggs have cooked into threads. Add the chicken meat, spinach, garlic salt, pepper and ½ of the lemon juice. Why only ½ of the lemon juice, Poppy? Because all lemons are not created equal, this is where you start tweaking …(tweaking, not twerking, don’t get the two confused). Slowly add more of the lemon juice and black pepper until you get the taste you want. You can always add more lemon juice but you can’t take it out …(not even by twerking)! 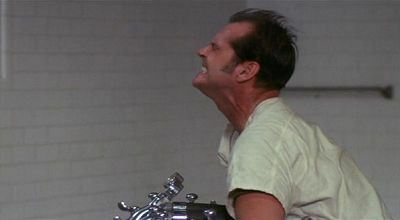 The above scene is from Ken Kesey’s brilliant novel, “One Flew Over the Cuckoo’s Nest”. 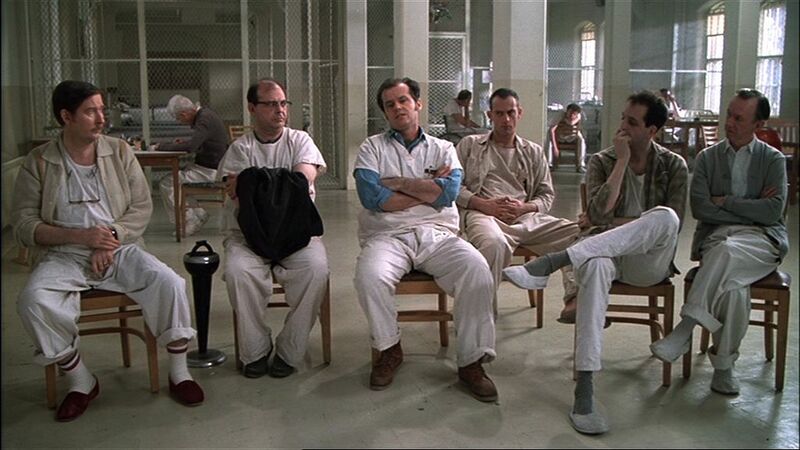 McMurphy points out that Nurse Ratched’s group therapy sessions are pecking parties. Nurse Ratched strikes one of the men to reveal his weakness, and then all of the patients follow her lead, “pecking” at the man. This starts off a chain reaction that hurts all of the men, sets them all against each other (instead of against Nurse Ratched). The “therapeutic” meetings aren’t a time when patients can provide each other with mutual and beneficial help, but where they end up hurting each other and making it all worse. We recently celebrated my oldest daughters birthday at “Vincenzos Italian Ristorante”. It has the unique position of being immediately adjacent to the Ferguson Police Station. We occupied a table along the front window and had a clear view of the parking lots of various businesses along South Florissant Road. That night the lots were filled with trucks, lights, microphones and other gear that travels with news crews. My very unscientific census would place the number of media to citizens at about a 10:1 ratio. The news teams seemed very bored that night … there was nothing to peck at. 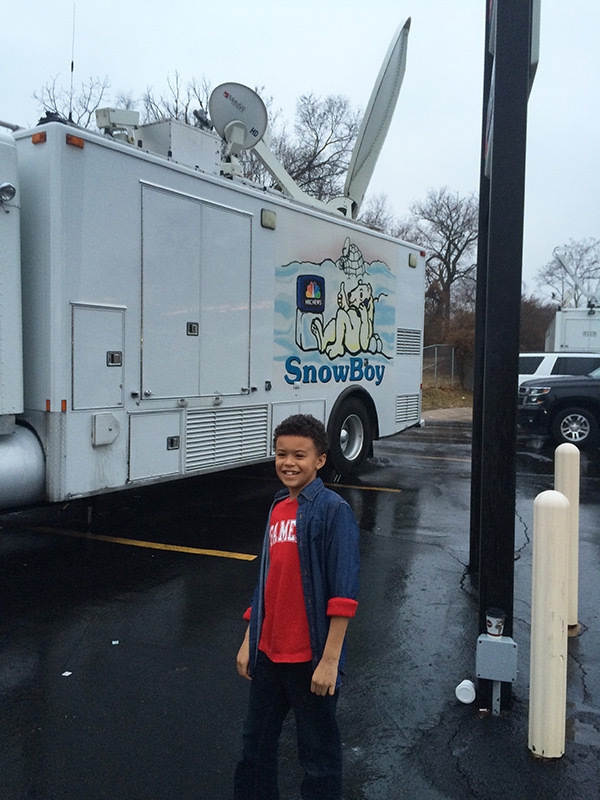 My grandson in front of one of the satellite news trucks, this one was from Chicago. I am not a blind apologist for everything that has happened in Ferguson over the past few months, but I will continue to be a fierce defender of the good people of Ferguson and our unique community. Ferguson has been a very diverse town for all of the 30 years that our family has lived here. The fact that we are diverse was accepted as the status quo without further thought. The very diversity that was once considered a strength is now being turned against us. In the St. Louis region, Ferguson stands almost alone as an example of a racially mixed town that is not only holding it’s own, but was actually improving. A year ago most people from our region would have had trouble finding Ferguson on a map, today anyone from across the nation who follows the news can tell you what percentage of Ferguson is African-American and what percentage is white. The recently released DOJ report cites selected statistics that focus on nothing but race … peck-peck-peck. In a community where race was mostly a non-issue it has now become the only issue. 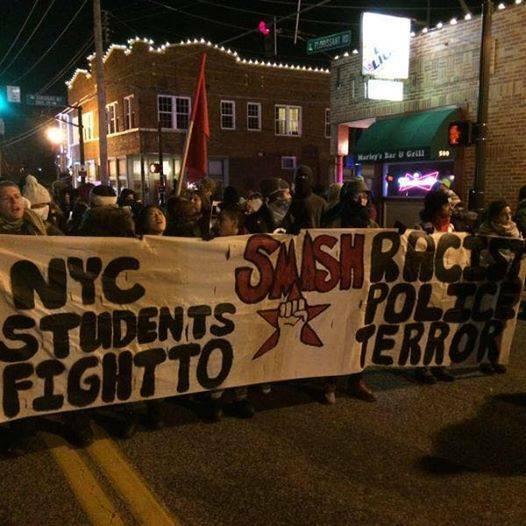 We have had student groups fly in from out-of-state with banners proclaiming our evilness, then fly out the next day and return to their all white suburbs and go to their all-white churches feeling smug for having made a statement … peck-peck-peck. We have had no shortage of activists drop by who know nothing about the people of Ferguson but are more than willing to get behind a microphone and with feigned indignation point out our faults to the nation …peck-peck-peck … then collect their offering and leave on the next plane out. We have had politicians from all levels who have used the events from the past few months as wedges, molded to fit their own agendas, as tools of division rather than using their position to bring reconciliation and healing … peck-peck-peck. And the pecking party continues. Good honest men and women who have committed no crime other than holding a position with the city are having their characters assassinated … peck-peck-peck. Ferguson, it’s time to put the blinders on before we peck each other to death! Profiling does not exist just within police departments but within all of us. That woman is black, she probably thinks _____ and is _____. That man is white, he must be a ______. That person is a cop they are a _______. They work for the city? ____ them. Those protesters, why don’t they ____ instead of ____. The last known perfect person never visited Ferguson, but said, “Let he who is without sin cast the first stone”. There is no one perfect in Ferguson. It’s time to put down the stones. It’s time to quit pecking. It’s time to recognize that we are all in this together, black and white, young and old, saints and sinners. It’s time to cut each other a little slack. It’s time to once again celebrate our diversity! The job before us won’t be easy, there is a lot of pain, frustration, feelings of hopelessness that must be overcome. Will we succeed? … I don’t know. We just set our clocks forward, spring training baseball is finally here and the Catholic church next to our home is holding Lenten fish fries … all harbingers of spring in my book and I can’t wait! Maybe that’s why I was jonesing for some homegrown tomatoes as I was wandering around the produce section of our local grocery store. Of course there were none to be had so I grabbed the closest thing I could find … tomatoes packaged with the vines still intact … it may just be a marketing ploy, but it worked on me. Now that I had them, what to do next? To avoid the potential disappointment of serving them raw and having them taste nothing like the home-grown varieties I was longing for … I decided to roast them. You really can’t go wrong with roasting vegetables. 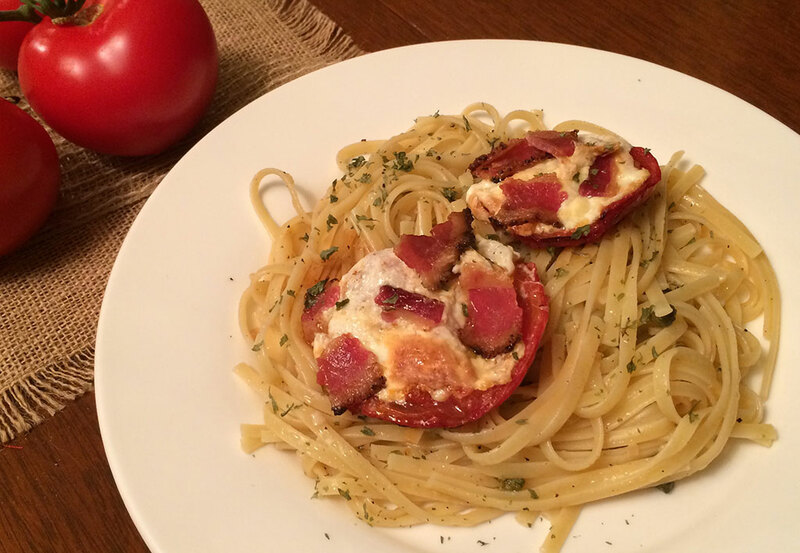 I completed my rounds through the grocery store and grabbed everything I thought would go well with the roasted tomatoes that were running through my brain … fresh mozzarella, bacon, linguine, capers, garlic … check-check-check. Am I the only one that goes into the grocery store without a plan and aimlessly wanders around until I come up with an idea? I hope not! After getting home I sliced the tomatoes in half around their equator and cut out just a bit out of the center. They got popped in the oven on a foil wrapped (and generously oiled) baking sheet. Along with them went the bacon also on a foil wrapped baking sheet. A co-worker clued me in on baking bacon and it’s the best … cooks evenly and when you’re done simply remove the foil and place your clean baking sheet back in the cabinet. In this case the oven was set to 385° on convection mode … your mileage and cooking times may vary. The bacon finished long before the tomatoes, so I removed it, transferred the strips to dry on some paper towels and scooped up a couple of teaspoons of bacon drippings before I pitched the foil. The bacon drippings were added to a skillet along with 3 tbsp. of butter, 2 tbsp of EVOO, 3-4 tsp of capers and 4 large cloves of garlic that had been finely chopped. This mixture was simmered on low heat until the garlic started to brown. While this is going on the tomatoes are still merrily roasting in the oven, after about 35-40 minutes I removed them for the next stage. 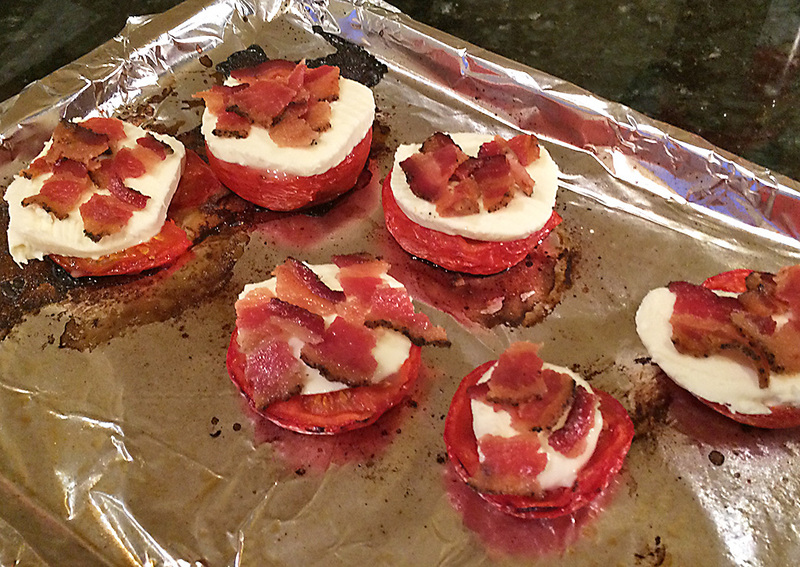 Slice the ball of mozzarella into ¼ thick slices and place on top of the partially roasted tomatoes. If necessary trim the cheese slices so they don’t hang too far over the sides of the tomatoes. Top the mozzarella with bacon pieces and place back in the oven. The linguine is going to take 9-10 minutes to cook, so start that after the tomatoes have been in the oven an additional 5 or so minutes. At this point switch your oven to broil to get that nice slightly browned finish to the cheese. Once the cheese achieves that state, turn off the oven but leave the tomatoes in until everything else is ready. Drain the linguine and toss in the skillet with you butter-garlic-caper sauce and top with a generous grind of coarse black pepper. Place the roasted tomatoes on top of the pasta along with a sprinkle of fresh or dried parsley. I was preparing this for 4 servings so I used about 12 ozs. of pasta, obviously if you need more or less servings, everything else scales accordingly. 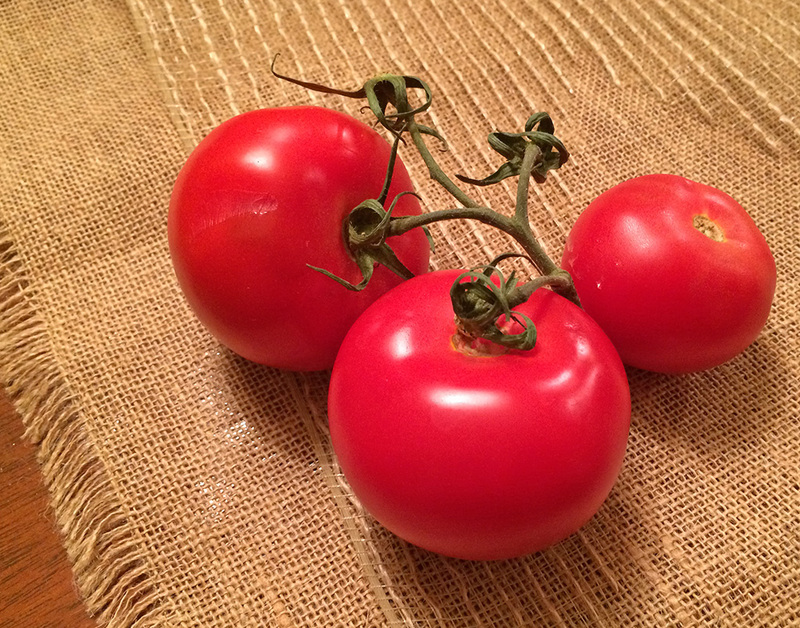 My families input afterwards … more tomatoes, less pasta … I will keep that in mind because we will be doing this again! Is there anything in the kitchen more under-appreciated or ubiquitous than black pepper? And what’s with this word, “ubiquitous”? I see it everywhere! If you don’t like the taste of pepper then move on to the next post, there is nothing to see here. However if you enjoy a good brothy (is that a word?) soup with a little bite then keep reading. I wish I could tell you that I made my own dumplings from scratch, roasted my chicken and created the chicken broth myself … but I would be lying big time. 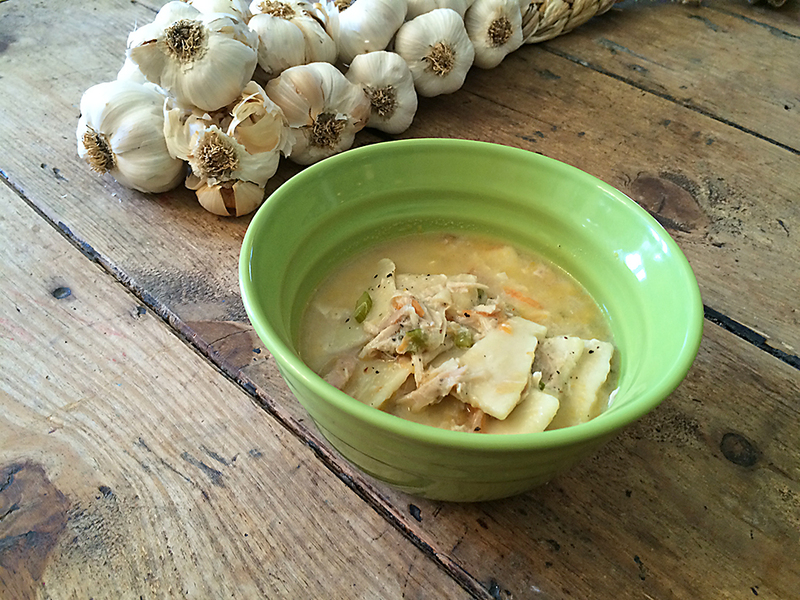 I took the lazy way out and still managed to create some delicious soup using frozen dumplings, rotisserie chicken and ready-made chicken broth. Difficulty: Can’t mess this up! 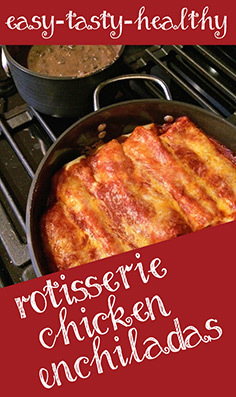 Started by adding the low sodium chicken broth to your stockpot and bring it to a simmer. Use half of the package of frozen flat dumplings (about 6 ozs). I know the recipe calls for a lot of chicken broth, but it reduces and becomes more concentrated during the preparation, no need to add any chicken bouillon. As I added the frozen dumplings, I broke them in half … not that it affects the taste in any way, it just makes the soup easier to eat with a spoon. As the dumplings cook (about 20 minutes), dice the celery and onion and sautéed them in a tbsp. of butter and equal amount of EVOO. While the celery and onions are adding their aromas to the kitchen, finely chop 3 large cloves of garlic. Add those to the onion-celery mix when the onions are translucent. Keep sautéing while you grate a medium-sized carrot directly into the broth. Separate the meat from the rotisserie chicken into small pieces. I didn’t want this to turn into a stew or even a chowder, so I only used about ⅔ of the chicken meat, saving one breast for another use. Add that to the broth along with the celery, onion, garlic mix and keep simmering. Add the Half & Half (you could use cream of course) and the hot sauce. Now it’s time for the black pepper to make it’s entrance. As a noob food-blogger, I didn’t measure the black pepper I added, partly because I was grinding it from my pepper mill directly into the soup. Set your pepper mill to coarse and crank at least 10 times into the broth. Let simmer for a few minutes then taste. I can tell you that I added at least another 10 turns of the pepper mill, probably more, but use your own judgement, keep tasting the broth … you can always add more pepper, taking it out is … well, impossible. Keep simmering a few more minutes before serving, let it rest a bit then serve to your hungry family and friends. This soup is quick and easy to throw together, lots of fiber, low in calories and full of flavor. 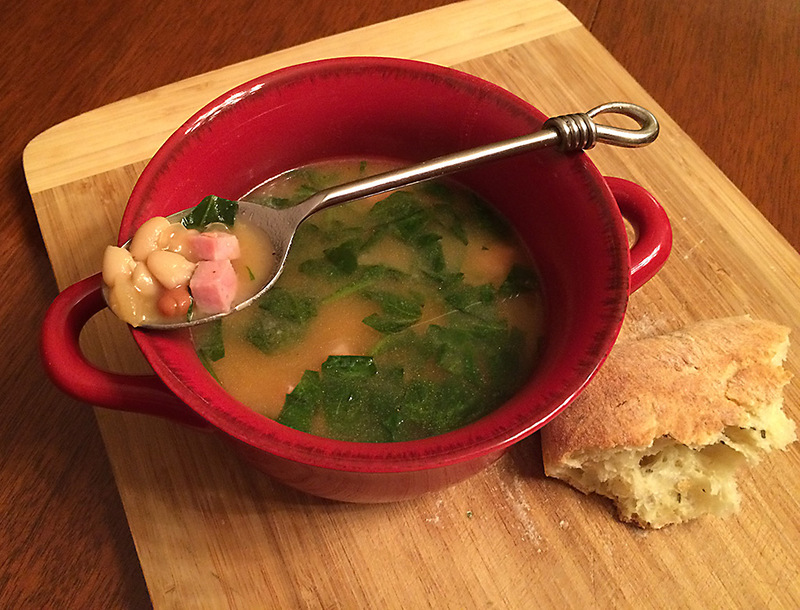 The Cannellini beans are the stars of this soup, packed with protein, iron, magnesium and folate they are the perfect complement to the ham and spinach. Since I don’t plan anything but my vacations very far in advance, I just use canned beans rather than soaking the dried beans overnight and cooking them. Drain and rinse the 3 cans of Cannellini beans, add 2 of the cans to your stockpot. If there is a trick to this recipe at all, it is using a potato masher to mash the beans in the bottom of your stockpot. This will thicken the soup and change it from just being some beans floating around in chicken broth to a rich hearty bean broth. After the beans are sufficiently smashed add some of the chicken broth and stir, making sure that none of the beans are stuck to the bottom of your stockpot, because no one likes burnt beans in their soup! Add the rest of the chicken stock, the remaining can of Cannellini beans, the chili beans with their sauce, the ham, then start warming. If you are lucky enough to have a good ham bone by all means use it, it will kick the flavor way up, if not dicing a ham steak will suffice, which it what I did this time. While everything in the stockpot is heating, wilt the chopped spinach in a skillet with a drizzle of EVOO. Once it is thoroughly wilted add the minced garlic and continue heating for another minute. Add the spinach-garlic mix to the soup along with a tablespoon of Frank’s hot sauce and a generous grind of coarse black pepper. Let it simmer a few minutes then taste the broth. Add more pepper or hot sauce as needed or perhaps a pinch of chili powder or Cajun seasoning. Simmer a few more minutes then serve with a crusty bread or cornbread. Yum! This qualifies for one of Poppy’s “Holy Trinity of Cooking” awards. Do winning lotto tickets magically appear when you cut into this warm, spicy and delicious meal … NO … but it is easy, tasty and healthy … (don’t get greedy)! Difficulty: You won’t break a sweat (unless you make it too spicy)! 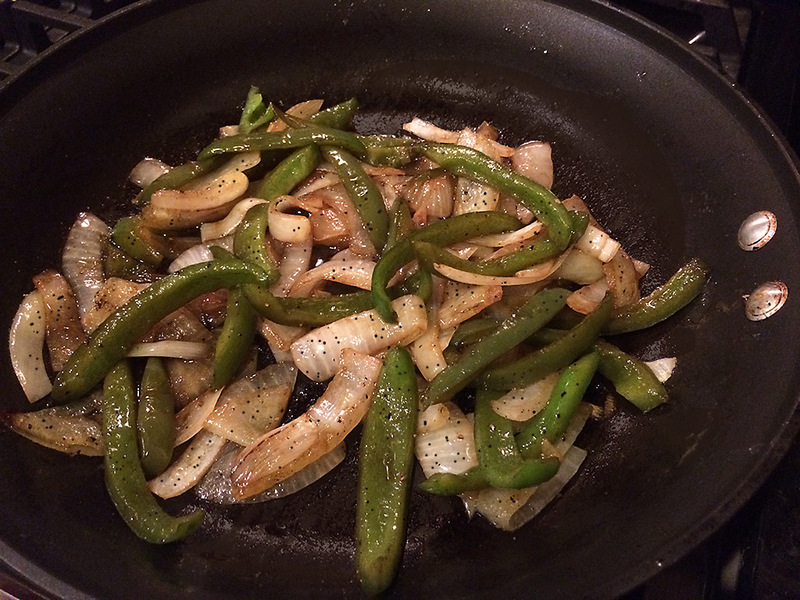 Cut the onion and green pepper into long strips and start sautéing on medium-medium low heat in a tbsp. of butter and equal amount of EVOO. Stir periodically until the onions start to turn translucent. Add 2 tbsp of Dale’s steak sauce or similar soy based steak sauce. Add a very generous grind of coarse black pepper, stir, remove from heat and set aside. This part of the prep will take about 10 minutes … while the onions and peppers are sautéing, make yourself useful and start pulling the meat off the rotisserie chicken. Now we are ready to start the enchilada assembly line. If you want to start playing Harry Belafonte’s “Jump in the Line” it would be totally appropriate. I usually microwave the tortillas while they are still in their plastic bag for 15-30 seconds just to warm and soften them up for this step. Then it’s just a matter of making a line of chicken meat, 2 tbsp. 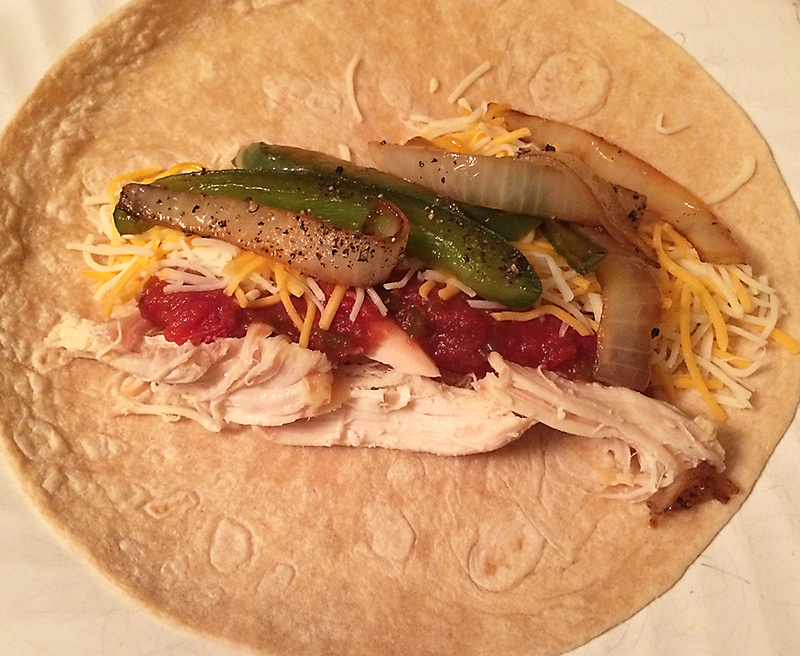 of salsa, couple pinches of shredded cheese and a row of the onion-pepper mix … fold the sides over enough to trap the ingredients then roll those babies up. Place the seam-side down in an oiled, deep-sided, oven-proof skillet. I can usually fit 7-8 in the skillet. 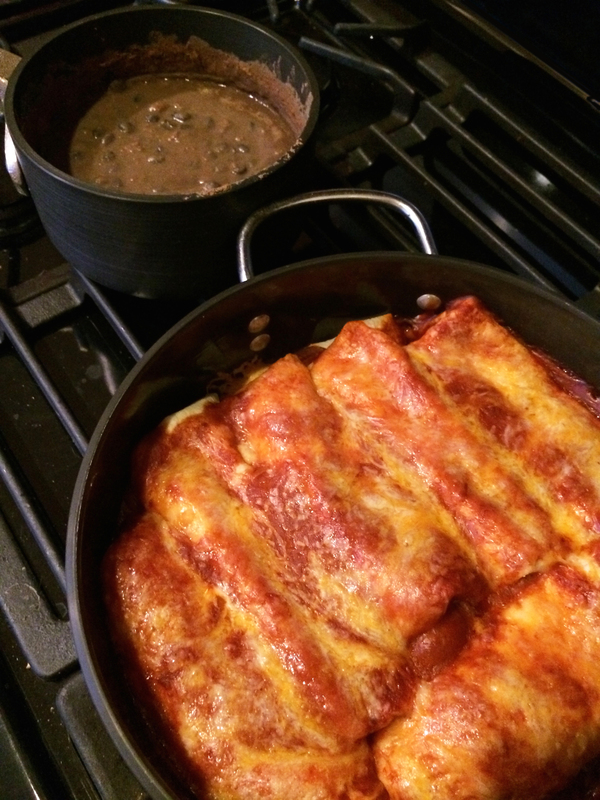 Pour on the enchilada sauce, making sure to coat them all. Then add a ridge of shredded cheese on top of each enchilada. Pop in the oven for about 20 minutes or until you see the sauce bubbling … remove, let cool for a few minutes and prepare yourself for the compliments you are about to receive for this “easy-tasty-healthy” dish! You sharp-eyed readers have probably noticed the pot of beans in the background of the feature photo. This the perfect side for the enchiladas. I almost wish I could find a way to make this sound very complicated … I’m afraid of losing my food-bloggers license if I just tell you to open a couple of cans and heat the mixture, but there is not much more to it than that and it doesn’t really need complicating. OK, if you have your can openers at ready, let’s do this … drumroll … open a can of black beans (pinto if you prefer), drain but don’t rinse, place in saucepan. Open a can of refried beans, add those to the saucepan along with a scant tsp. of diced garlic and a tbsp. of the steak sauce … heat until warm … top with a pinch of shredded cheese.